Ready for a classic math facts game! If you've ever enjoyed the game of checkers, then I'm sure you'll appreciate this game! This one is for subtraction facts, but we've also made checker board for multiplication facts and we'll be addition facts and division facts soon. What You Need: Copy of Checker math game board, Two different color sets of Checkers, Subtraction facts Table or calculator to check each others answers. The game is played very much like the classic checkers board game. After you print off the checker board, place it in the middle of the two players. The players first decide on what color checkers they want. 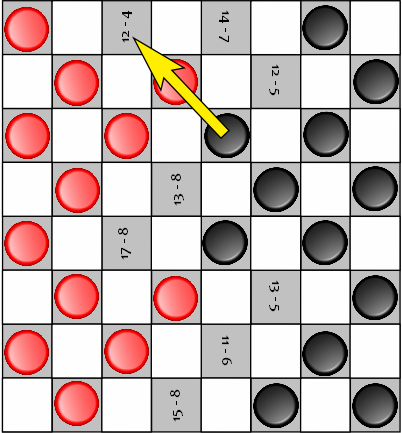 In order to move a piece, the player must correctly answer the math fact of the square they want to move to. Players can only move in the forward direction, so no going backwards here. 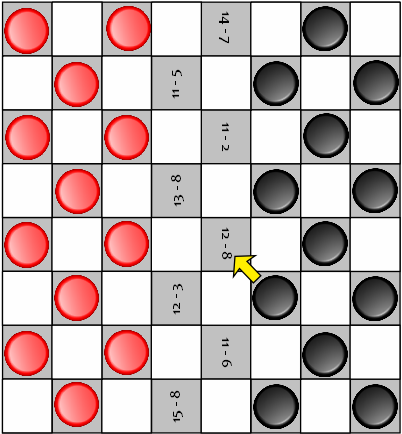 Each player places their checkers on all of the grey squares an their side of the board as shown below. Players will take turns trying to move their pieces diagonally, one space at a time by answering the one subtraction fact at a time, correctly. 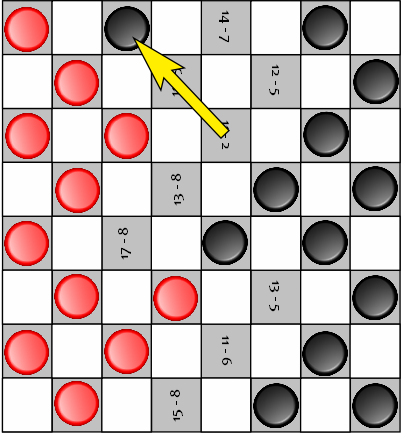 For example, player 1 starts the game and decides to move their checker to the square that says, "12 - 8". "Twelve Minus Eight Equals Four". Since 12 - 8 = 4 is correct, they move their piece to that vacant square. (See the picture below.) If they do not answer correctly on the first try, they do not move and player 2 takes their turn. 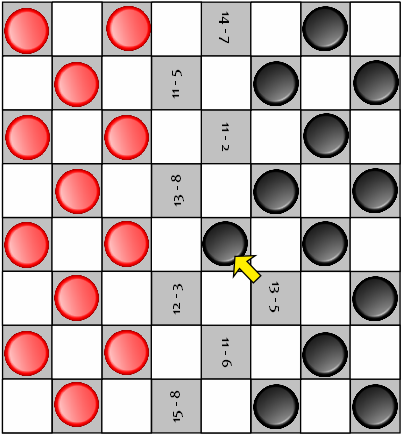 A player captures an opponent’s Checker by jumping over the piece if the grey square diagonally beyond that Checker is vacant. If possible, you can double or triple jump on a turn. "12 - 4 = 8". 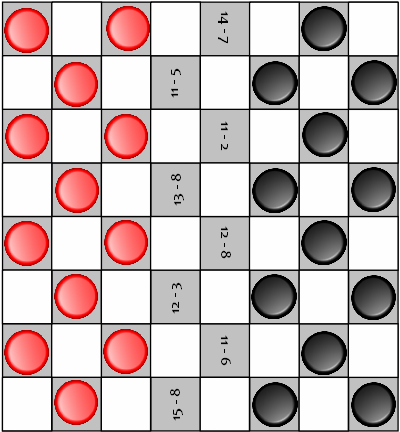 The picture on the right shows the result after the player says the correct multiplication sentence and jumps the opponent and removes the red checker from the board. When you reach the back row of your opponent’s side of the Game Board with one of your Checkers, it becomes a King. To designate it as a King, you will put one of the checkers of the same color that was removed from the board on top of it. So now it is a double-layer. The player that is the first to remove all of their opponent’s Checkers from the Game Board is the winner! * This game can be designed with any type of Math questions on the playing squares. * We've already have math facts game checker boards for multiplication facts made for you.